Each one of us is different. Our personalities, our ways of solving problems are all unique. So also, every child born in this world is unique in his/her developmental pattern and achievement. While some children grow and develop skills easily, there are some kids who require assistance in their developmental process. 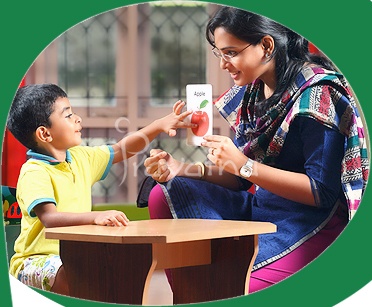 We, at Prayatna, aim to identify each child’s strengths and needs and help him/her learn and develop skills for an independent and comfortable life. more..
We have a team of therapists chosen with care combining technical skill, talent and commitment across multiple disciplines. We came to Prayatna with apprehensions. When my son was diagnosed with ASD, we were working in ..."
Copyright © 2012 prayatna.net. All Rights Reserved.